Doodle puppies courtesy of DoodlesNW.com. Are you a dog or cat owner who loves your pets probably more than you should? Do you like them almost more than people, sometimes? If the answer is yes, you can join thousands of Americans across the country who see their furry friends as family. And, like most pet owners, this love for your pets can lead to a familiar, dreadful feeling: separation anxiety for both you and your pet. How do you look after your pet while you're travelling, or during that 12-hour nursing shift? Do you board Fido at a kennel, or do you call a pet sitter? Finding the right caretaker for your pet that is also within your budget always seems like a daunting task. Fido needs a potty break. But thanks to developing mobile technology, finding care no longer means flying your Aunt Barbara up from Florida for your weekend getaway to the Bahamas. This is where Rover comes in. Try Rover free with a $20 credit for your first booking. Rover was designed to ease away-from-home-anxiety for pet owners in major cities across the US. Its slogan is "We're the Dog People: The nation's largest network of 5-star pet sitter and dog walkers." Founded in 2011, Rover's aim is to make it easy for pet owners to find dog walkers and pet sitters within your neighborhood. The company offers an array of screened, "5-star sitters" for any need: dog boarding, pet sitting, dog walking, doggy day care, drop-in visits, and house sitting. This Seattle-based company offers service to thousands of cities across the US, and you can get a free $20 credit to check out the service here. Rover even offers care for other animals, like cats and reptiles, too - all from insured, vetted sitters with experience. 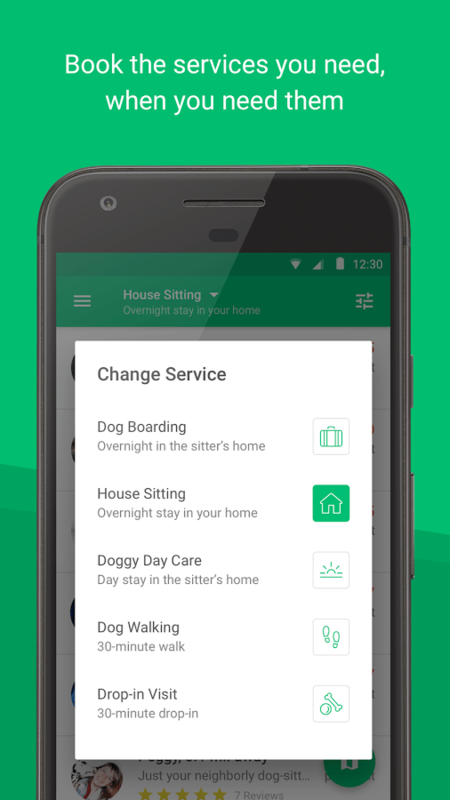 Finding a pet sitter is now as easy as opening the site or Rover app on your phone (available in the App Store and Google Play), choosing which service you want, entering the dates for this service, and picking from the wide selection of sitters. What makes the Rover app successful for pet-lovers? First of all, the app is easy to use; the layout is clean, simple and appealing. Users of Airbnb and Uber will see some similarities here, in that users simply enter the info for services they need and receive feedback as fast as their mobile WiFi or data will allow. 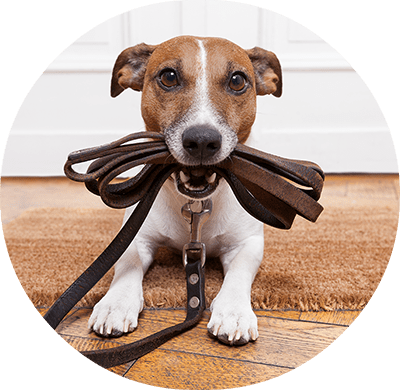 Rover also offers 24/7 customer service, a convenient "Help button" that scrolls along with you so you can type in questions any time, and an easy messaging system so you can contact your pet sitter all day long. Rover has an A+ rating from the BBB. Although Rover got an A+ rating from the Better Business Bureau (BBB), there are quite a few negative reviews posted on the BBB website. Many of these reviews criticize Rover's unsympathetic customer service; some of them complain about Rover's tough sitter policies and its complete monitoring of its messaging system. Another potential pitfall for this company is its insurance policy. Although the policy appears to cover most things (including injuries to your pet while in care of the pet sitter), many BBB complaints involve incidences where Rover did not cover an incident for various reasons. However, the A+ rating apparently comes from Rover's dutiful responses to all the filed complaints, among other met criteria (criteria can be found here). Other dog walking companies, such as Wag and Fetch are not yet rated by the BBB. Although pet tech is starting to emerge as a more popular industry, it has been slow to grow. Major pet companies still target baby boomers, as opposed to millennials, contributing to the slower development of mobile apps for pet care like Rover. Washingtonian.com claims that Washington DC has displayed a new type of pet owner: "doting but busy, with income to spare, and much more interested in the efficiency of arranging pet care via phone than in dealing with an actual person." This new pet owner "breed," mostly found in large, urban cities, has contributed to the growth that pet tech companies such as Rover have experienced in recent years. Phones and pets can come together for more than just selfies now. Gabriella Chessman, Vice President of Marketing at OurPet (a pet tech manufacturing company), points to the pet industry's constant growth as a driving force for high-tech products and companies. "As pets become more like family members," she says, "consumers want to monitor them just as they would themselves and their homes." In other words, the evolution of millennials into pet owners will bring about more tech-friendly pet services, a trend already being seen in the emergence of mobilized pet care companies. What does this mean for the slew of pet care companies cropping up? "Not every new business is likely to last," a Washingtonian.com writer claims. Saturation of the market will happen, resulting in the survival of only the most popular companies. Rover is one such success story, likely due to the ease-of-use and reliability of its mobile app. As with any pet care company, it is recommended to do your own research to determine the best fit for you and your pets. You wouldn't leave your children in the care of just anyone, so why take risks when it comes to your beloved pet? There are many sites out there dedicated to finding the best pet sitting companies, including Canine Journal and PetSittingOlogy. Google searches can always be a helpful tool in your search and you can see the Rover service for yourself here (along with a $20 credit if you decide to book). In our fast-paced, hardworking, career-oriented society, it's a relief to know that companies such as Rover exist to provide quick, reliable care for pets. This company is a great example of combining the ease of mobile technology with low-cost services and quick customer service. The idea behind making pet care easier to find and book, and its top-notch execution of this idea, are what distinguish Rover as a leading pet tech company. Thanks to companies such as these, pet owners everywhere can rest easy knowing that affordable pet care is a quick click away.